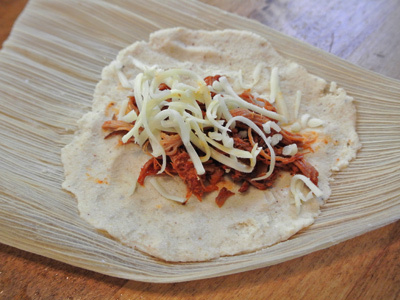 It’s tamales part 2 with pork and red chile, which are probably considered a more traditional tamale. They are a New Mexico tradition that you can find almost anytime but especially around Christmas. I would have waited to make them closer to the holidays except I’m traveling home to NM soon and wanted to share them with family back home. And I’m saving back a dozen or so in the freezer to have for the holidays. 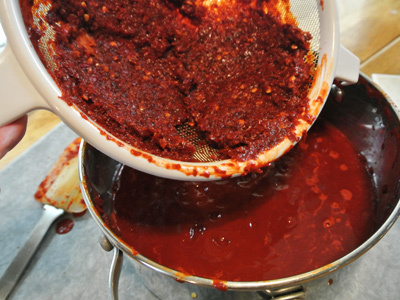 I’m making a Colorado red chile sauce to season the shredded pork filling. 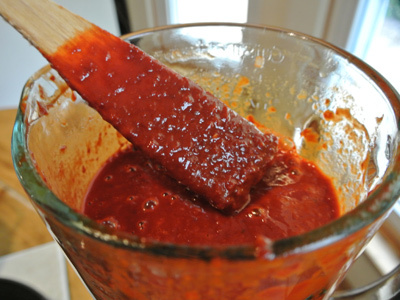 You can also use any unused sauce to serve with the tamales. 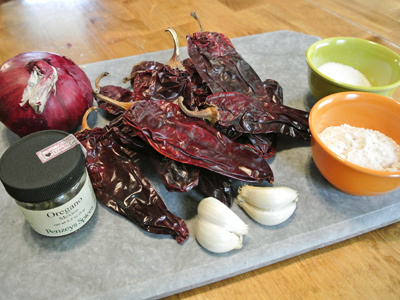 Start with 10 – 12 dried red chiles such as NM Red, Guajillo, California or Pasilla, 1 large onion, 4 cloves garlic, Mexican oregano, flour and salt. 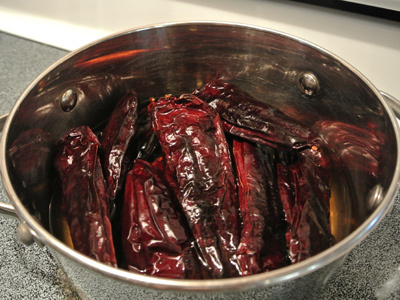 Lay the dried chiles on a cookie sheet and place in a 300 degree oven for 3 – 5 minutes or until the chiles become aromatic. Be careful not to let the chiles burn. I also rolled the garlic in aluminum foil and roasted just until soft, about 5 – 10 minutes. 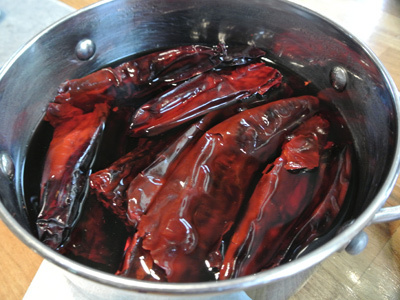 Afterwards they appear darker in color with the smell of chile in the air. Stem and seed the chiles. Place in a pot filled with warm water, cover and steep for 30 minutes. 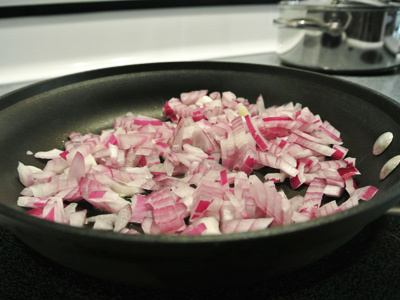 Chop the onion and saute in a pan drizzled with olive oil. The onions are now soft and translucent. 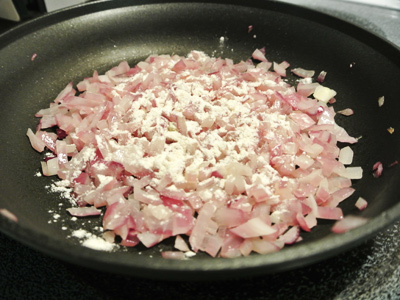 Add a tablespoon of flour to the onions and stir. This will thicken the sauce. The chiles are soft and colorful red. I’m going to save the chile water to use later on. 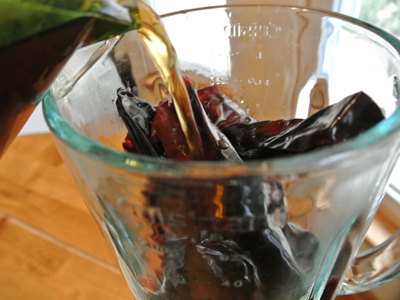 Place the chiles and 2 cups of the chile water into a blender. Add the sauteed onions and roasted garlic. Puree until you have a thick sauce. 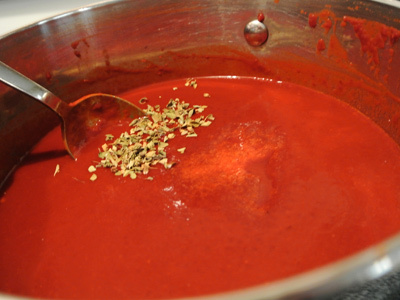 Strain the outer skin and leftover seeds to leave a smooth red sauce. Place the pot back on the stove and season with oregano and salt. 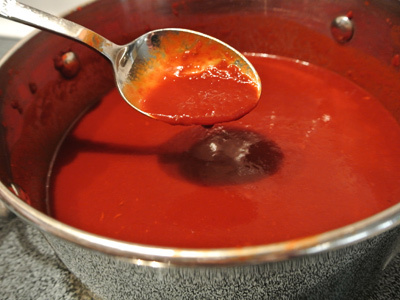 The sauce should be bright in color, smooth and seasoned to taste. 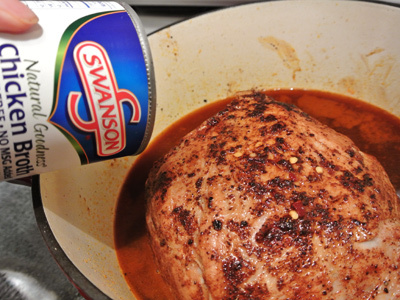 I had some leftover ground chiles and used that to rub the outside of the pork roast along with some salt and pepper. Brown the outside of the roast on all sides in a dutch oven. 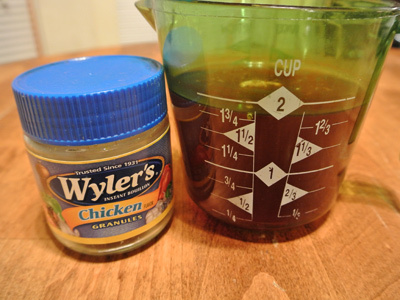 I had about 2 cups left of the chile water and added a couple teaspoons of bouillon granules. Pour the chile water and a can of chicken broth in with the roast. Bring to a simmer, cover and cook on low 8 hours or overnight. Or you can cook 4 – 5 hours over a medium simmer. Make sure to turn the roast every 2 hours. The next morning it practically falls apart. 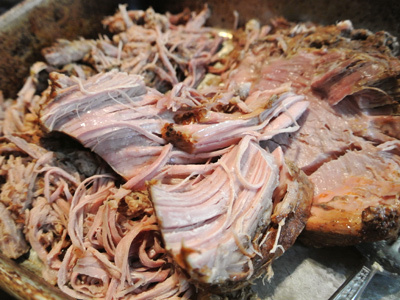 Use 2 forks to pull the meat apart into shreds. 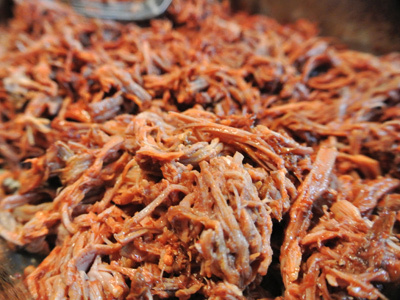 Pour 1 1/2 – 2 cups of Colorado red chile sauce over the shredded pork and mix well. Tamale filling ready to go. 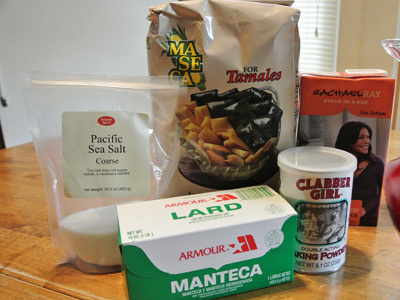 Here are the ingredients to make the tamale dough, tamale masa harina, lard, salt, baking powder and stock. If you’ve saved your stock and want to use it that is fine. I made the dough in batches. 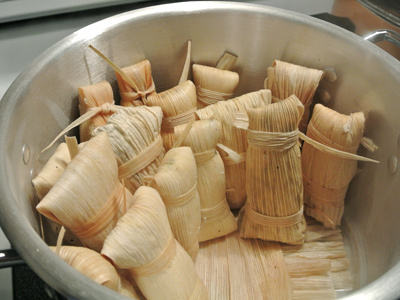 Each batch will make approximately 25 tamales. 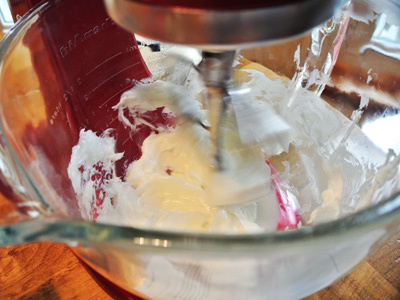 Place about a cup of lard into a mixer and whip on medium for a minute or two. I just left it running while I measured out the dry ingredients. 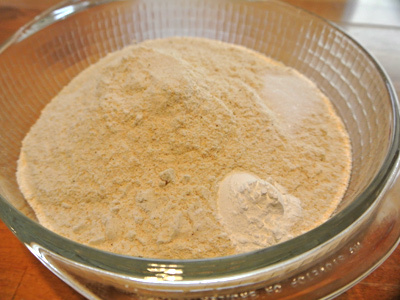 Mix together 4 cups masa harina, 1 teaspoon salt and 1 teaspoon baking powder. 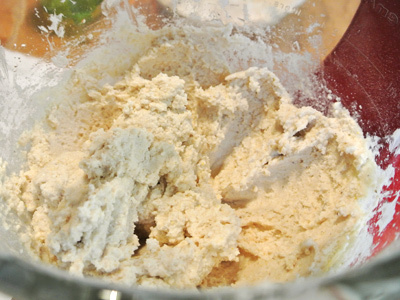 Alternately add masa harina mixture and broth to lard, beating well after each addition. Add just enough broth to make a thick cookie dough like texture. I found about 3 cups was about right. You want a texture that resembles cookie dough. Take your corn husks and begin soaking in warm water for 20 minutes or so. Rinse to remove any corn silk. 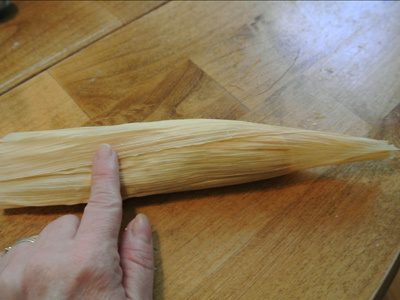 Adjust the amount of masa based on size of your corn husk. We kept a bowl of water nearby and would dip our fingers when the masa became too sticky. Roll it into a ball ranging from about golf ball size to a little larger and start pressing to 1/8 inch thickness outward leaving 1/2 inch clear on each side. Leave enough room at the top and bottom if folding both ends. 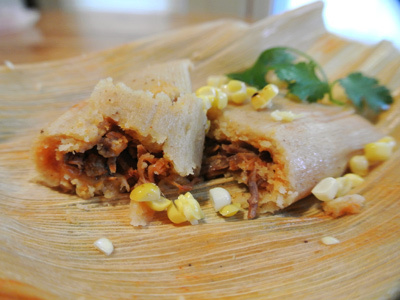 Keep in mind the masa will expand as it steams so a thin layer will make for a tastier tamale and not all dough. Place about 2 tablespoons of pork filling in the center of the masa. And some cheese if you want . . . and I do. Start rolling so that one side overlaps the other. Fold the bottom and top ends towards the center. And tie the ends with strips of corn husk. 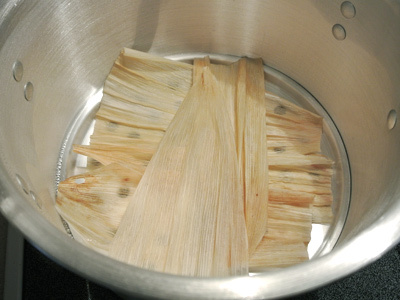 We set up our steamer pot with water in the bottom and placed some soaked corn husks over the insert. This was a tip from Diana Kennedy’s “My Mexican Kitchen” cookbook. Stack them upright like this. 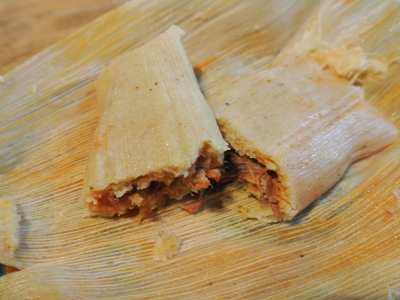 We were able to get approximately 24 – 25 tamales in to steam. The amount of pork and verde salsa made approximately 50 tamales. Place the lid on the steamer and steam for approximately 50 – 55 minutes. Leave a little wiggle room as they will expand as they steam. 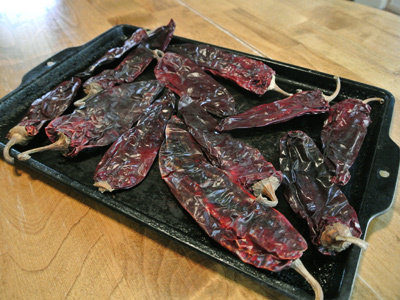 As you can see these have an orange red tinge color from the red chile. Also I think Joe and I got through the learning curve and these seemed to be more consistent and wrapped neater than the ones with Verde Salsa. Had to unwrap one to eat . . . I mean to test. Nothing better than straight from the steamer! A little roasted corn to go on the side! 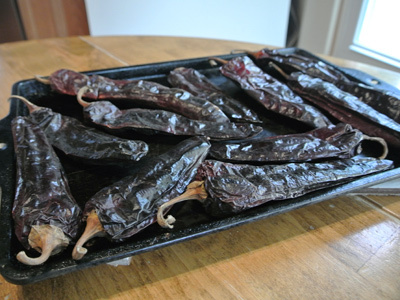 Arrange the dried red chiles on a baking pan and place in a 300 degree oven for 3 – 5 minutes or until chiles become aromatic. Be careful not to let them burn. Wrap garlic cloves in aluminum foil and place in oven with chiles for 5 – 10 minutes just until soft. Remove stems and seeds and place dried chiles in a pot, cover with water, place on the lid and let steep 30 minutes. 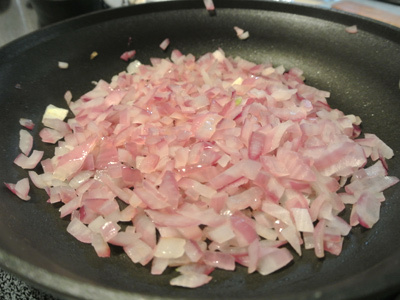 Drizzle olive oil in a pan and saute chopped onion over medium heat until soft and translucent. Sprinkle in a tablespoon of flour and stir to thicken. 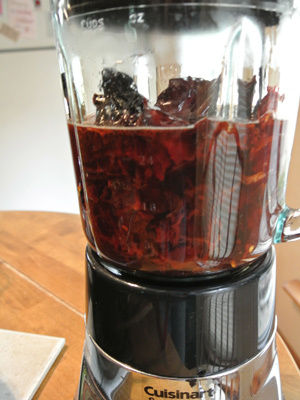 Remove dried chiles from water to a blender. 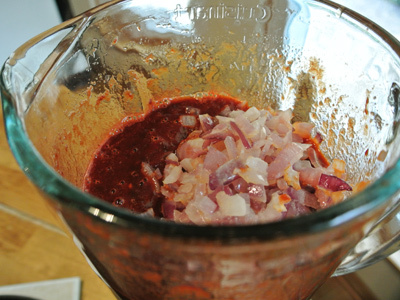 Add 2 cups of the steeped chile water, sauteed onions and roasted garlic to the blender and puree until you have thick rich sauce. Strain the sauce to remove the skin and leftover seeds. Place sauce back on the stove and season with Mexican oregano and salt. Simmer for 10 – 15 minutes. Set aside. Drizzle olive oil in a dutch oven over medium high heat. 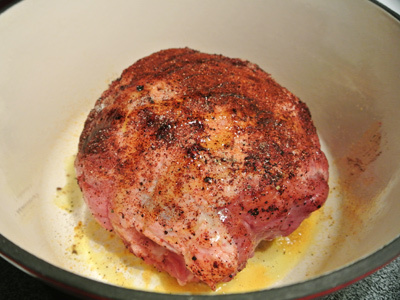 Season pork roast with chili powder, salt and pepper. Brown roast in dutch oven on all sides. Pour 2 cups of the reserved steeped chile water and 1 can of chicken stock. Simmer over medium low heat for 4 – 5 hours, turning the roast every 2 hours. **Note, you may cook the roast for 8 hours on a low simmer or overnight. 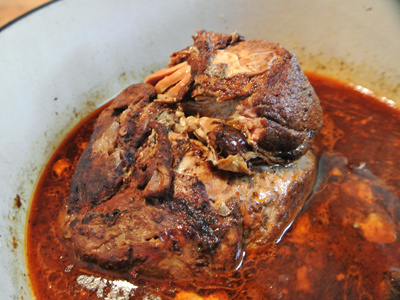 When done the roast should appear tender and start to easily pull apart. 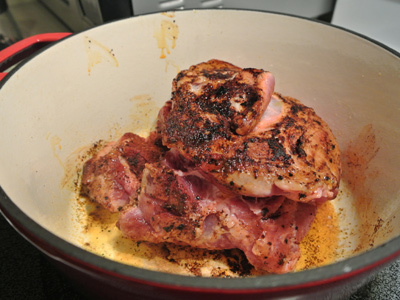 Let the meat cool slightly, remove to a separate pan or bowl and begin to shred the pork with 2 forks. 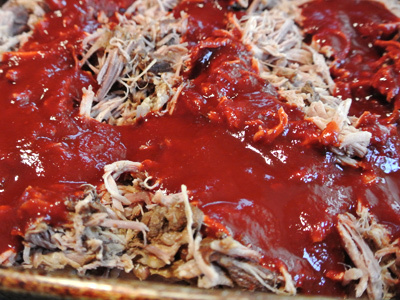 Add 2 cups of the Colorado red chile sauce to the shredded pork. 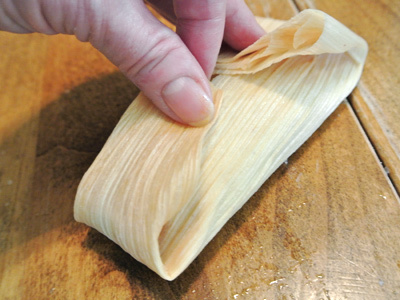 Strain the stock to use in the tamale dough or save for another use. **Note the red sauce will color your masa dough to a reddish orange appearance. 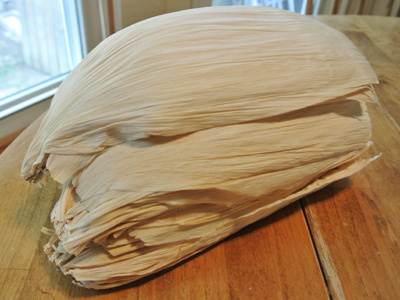 To assemble tamales you will need to judge the size of your corn husks and spread anywhere from 2 – 4 tablespoons of tamale dough on the center of the corn husk. First take the tamale dough and roll into a ball. 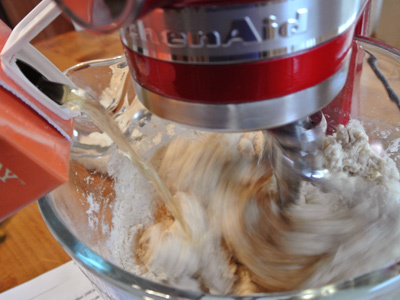 Begin pressing with your fingers to spread the dough outward 1/8 inch thick leaving about 1/2 inch clear on each side. Leave about 2 inches at the top and bottom if folding both ends. **Note: if the dough becomes sticky to work with, dip fingers in a bowl filled with cool water. 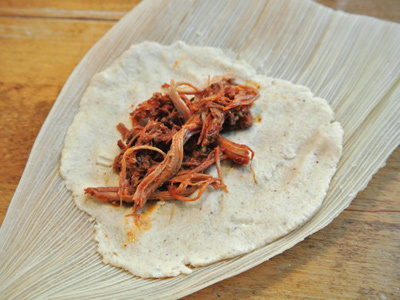 Place about 2 tablespoons of the pork filling in the center of the masa. Top with grated cheese if desired. Roll the two sides together so that they overlap. Fold the bottom husk up first, then the top. 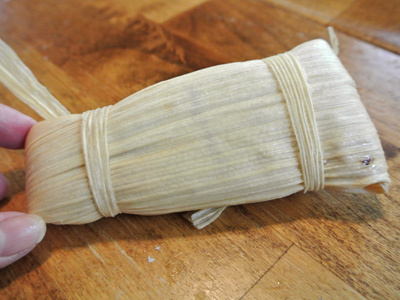 Secure tamale by using small strips of corn husk to tie the ends. Place water in the bottom of a steam pot and bring to a low boil. 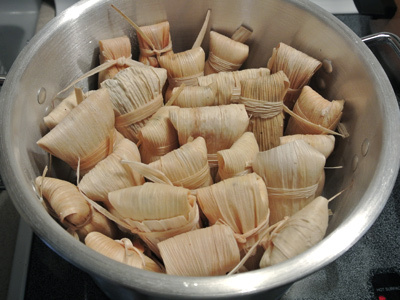 Place a few husks over the steam rack and stack tamales upright making sure not to pack them too tightly as the masa will expand as they steam. Cover with lid and steam 50 – 55 minutes or until masa easily pulls away from the wrapper. Let cool slightly before serving with additional Colorado red chile sauce. 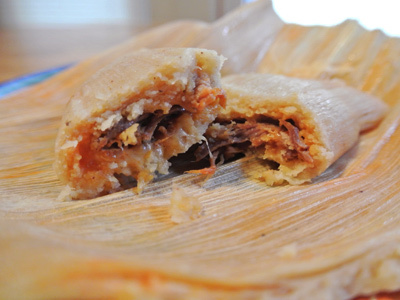 Prepare tamales in freezer bags or vacuum seal to place in freezer for up to 6 month’s. 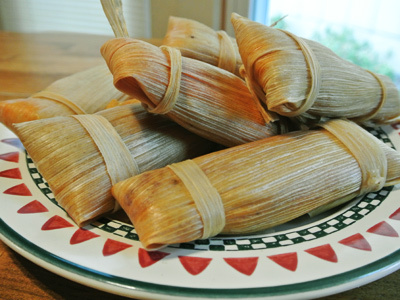 To reheat, steam frozen tamales 25 minutes or thawed 3 – 4 minutes. Or microwave thawed for 1 minute. Wow! They look delicious. I’m a big pork-addict so I’ll have to give this a try. I think you’ll find they are worth the effort and time you’ve put in to make them once you take that first bite. Really good! They look so good ! 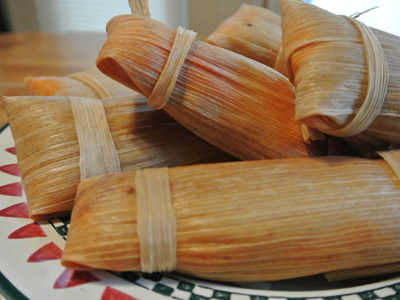 I can’t wait to try one, there is nothing better than a tamale! I hope you think so when I bring them home!